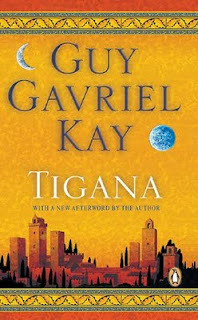 I could recommend just about anything from Guy Gavriel Kay for this list, but Tigana is something special - even for Kay. Set in the Peninsula of the Palm, a quasi-Italian mass of feuding city-states, the tyrant Brandin - driven by grief at his son, Stevan's death in battle - obliterates the name of a nation: Tigana. At the novel's core is the conflict around this identity, and the importance of it - and Tigana is told in almost lyrical prose, telling the tale of a tragedy through interwoven plotlines that are never black, nor white, but Kay's masterful grey. One of my more recent choices, The Name of the Wind is, soimply put, a masterfully-told tale. The first page captured my imagination: "...the patient, cut flower sound of a man who is waiting to die", and Rothfuss' prose was equally enrapturing throughout Kvothe's tale. The magic is logical, well explained, and - in this spirit - less of a Deux-Ex-Machina than a well savoured device for the reader. The tale of a man, Kvothe, who became a legend, and now tends the bar in the Wayside Inn, is cleverly divided between the tale itself, and Kvothe's telling of it - in the quieter, more dangerous world that he left behind. Rothfuss' second novel (The Wise Man's Fear) has unfortunately been delayed, but I eagerly anticipate its release (predicted sometime in 2010). One of the most controversial series in modern fantasy, the Malazan Book of the Fallen is either on your bookcase in its entirety - or equally entirely absent. High page counts, devilishly complex plotting across volumes, and lengthy philosophical passages make Erikson's work a love-or-hate series. 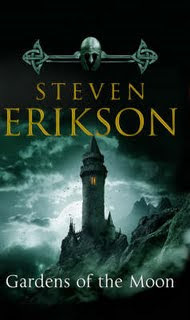 But I find Erikson's inter-volume plotting and "grey" morality enormously refreshing in the context of the epic fantasy - and make no mistake about it, the Malazan Book of the Fallen is certainly an epic fantasy. Spanning (in points) thousands of years, the series entwines seldom-understood, but rule-bidden magic, and a world so breathtaking in its entirety that even after nine volumes, very, very little is - yet- uncovered. Erikson's prose, like Kay's, has an almost lyrical factor to it, and the omniscient narrator's views blend effortlessly the viewpoints of very different characters, in effortless (albeit philosophical) transition. Erikson is a must-read. I have not heard of Tigana till now. I will have to look into this one. I have just read and reviewed at my site The Name of the Wind. ( http://melissa-melsworld.blogspot.com/ ) I have to say I CAN NOT WAIT till he gets the second book done. He has such a way with words. The visuals, smells, tastes, and I can't forget about hearing what he puts on paper. His words themselves are like poetry or music all in its own. I was so taken with his style, but I would love an end to the story. Now the Malazan books. I want to get to these is such a bad way. See, there is another at the Barnes & Noble site that between the 2 of us we really dig into a book and think (speculate and define) as we are reading. I think this series would be wonderful for us to do, but it is such a long series. But I WILL get to it one of these days. I am curious have you ever read any Ramond Feist books? I have not read them all but I very much enjoyed them as well. Well, the Malazan books certainly are lengthy! I was in two minds about beginning them, until I did, and it was well worth it for me (although I became very... erm, antisocial for a while). I'm reading Dust of Dreams now (I'll be posting the review sometime soon), and I'm enjoying it very much (although I slightly preferred some of his earlier volumes). I haven't seen many sci fi book bloggers out there! You have a great site. Tigana has moved up on list of tbr books. I will look for this one in the stores and online. I think I will really like this book as well. When I finally get it and get it read I am stopping back here to see if we can discuss it. I love discussing books, I think that is part of the fun of getting lost in their worlds. I understand entirely - I felt the same way. That was one of the books (along with The Dragonbone Chair, above), which got me reading the genre properly. "Name of the wind" is absolutely fantastic. The way Kvothe's character emerges and transforms is spellbinding. 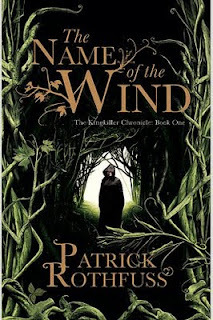 I reviewed it at http://www.solomonsays.in/reviews/103/books-review-for-name-of-the-wind. The second book was a bit of a disappointment. The story hardly progressed, and a lot of it felt like a collection of anecdotes. I had hoped that the overall picture of the story would start getting clearer, but unfortunately, Rothfuss leaves us lurching from incident to incident.